When I was 5 years old, my parents split up. 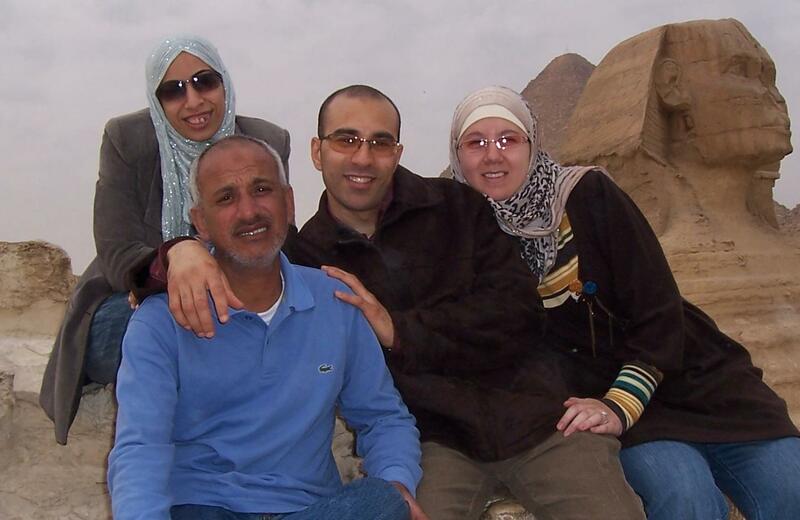 My brothers, sister and I moved from America to Egypt to live with my mother. At the time, Hosni Mubarak, the president of Egypt, had been in office for 13 years. For many families, life under Mubarak had become almost unbearable. Most people couldn’t find work, and the country’s youth had almost no chance at gainful employment. For those who did find work, they made very little money. People had to give up meats, cheese, and many other essentials. In Egypt there was no middle class. You were either poor or rich. That was before the Arab Spring. On Jan. 25, 2011, the Egyptian people came together in Tahrir Square to protest against the Mubarak regime. It was a non-violent gathering until the police got involved, beating protestors and spraying them with high-power water cannons. Instead of fleeing, the people fought back, and on Feb. 11, Mubarak resigned from office. He is now standing trial, with his two sons, for premeditated murder of protesters, among other things. Currently, Egypt is still a place of struggle. The military took control of the government, promising free elections in September, but it has yet to happen. Nevertheless, it’s an improvement. Growing up under Mubarak, I was told to never trust the police and to never mock the government. As I got older, I saw how the government took advantage of the people’s fear. Police corruption was widespread, and many officers would take bribes. I’ve also seen the police take money and still beat the people that they promised to let go. In 1981, when Mubarak took office, he re-enacted what’s known as emergency law. This law gave the police more power, and suspended the constitutional rights of the people. Mubarak claimed it was for the safety of the country, to prevent it from falling into the hands of extremists. But in reality, it was to ensure he would not be removed from office, as emergency law prevented any other political groups from forming. When I was 17, I moved back to America with my husband. As a young adult, I realized quickly how different it was here. In Egypt, life can be simple. There are no taxes, insurance, or credit to worry about. Even though life is more complicated here, I am grateful to have a kind of freedom that I didn’t have back home. At this very moment, the Egyptian people are working on forming new political groups. I hope that one day I will return home, and Egypt will be a place of prosperity and happiness. The people deserve to finally be able to live freely and without fear. Be the first to comment on "Egypt is better off without Mubarak"